Over the past 30 years, Hong Kong cinema has immortalized the stories of triads and corrupt policemen — romanticizing the gangsters and their never-ending drama with the Hong Kong Police. 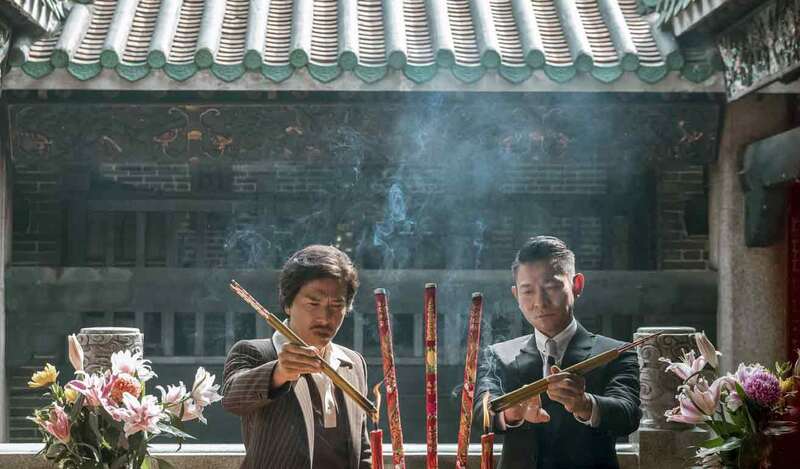 This genre of triad movies has contributed to the extraordinary careers of many local stars, with movies such as Infernal Affairs (Andy Lau, Eric Tsang) and A Better Tomorrow (John Woo, Chow Yun-fat) established as classics of Hong Kong cinema. I fully expected Wong Jing’s Chasing the Dragon to be “just another Hong Kong triad movie”. After all, the film was a remake of To Be Number One. However, in the opening minutes of Chasing the Dragon I was (delightfully) surprised to see a British police superintendent crudely and drunkenly stealing money from his Chinese subordinates — I knew then that Chasing the Dragon had bigger ambitions. Chasing the Dragon tells us the story of a partnership between a corrupt police officer (Lee Rock, played by Andy Lau) and a drug lord (Crippled Ho, played by Donnie Yen). While Hong Kong triad movies have often blurred the line between the “good guys” and “bad guys”, Chasing the Dragon places the two squarely in protagonist roles as they build an drug empire spanning all of Hong Kong — with Lee Rock overlooking, and even protecting, Crippled Ho’s gang. Thus, the British colonial administrators are cast into the role of antagonists who seek only to profit illicitly, with no regard for either the well-being of their local subjects or the law itself. To understand the Hong Kong police force’s troubled history, we must look back to the 19th century. A declining Qing dynasty was facing an opioid crisis, fueled by British colonial traders selling highly lucrative opium to an addicted Chinese population. Morally upright Chinese officials declared a ban on the import of opium, only to kick off what would later be called a “century of humiliation” imposed on China over the course of two opium wars with Britain and numerous interventions by other Western imperial powers. These wars resulted in Qing China ceding Hong Kong to the British as a colonial port — a wrong that would only be righted in 1997 when Hong Kong was returned to the People’s Republic of China. Expatriate British policemen posted to Hong Kong were afforded numerous privileges — including starting off in a relative position of authority over their local Chinese counterparts. Chief among these privileges however, was the collection of “tea money” or illicit bribes paid by criminal organizations to overlook their seedy activities — whether it was drug dealing, prostitution, or illegal betting. The most prominent example was Peter Godber, who was rumored to have collected millions of Hong Kong dollars in bribes before absconding back to Britain. The combination of double-agents, corrupt policemen, and troubled triad gangsters certainly makes for a great drama — and triad films still ranks among my favorite genres to watch. However, we mustn’t forget that the oft-romanticized world of pre-1997 Hong Kong was not all that the rose-colored movie lenses made it out to be. After all, a local population lived in poverty, oppressed by either their colonial masters or the triads that only sought to exploit their plight. Chasing the Dragon reminds us of that reality. Chasing the Dragon (Chinese: 追龙)—Hong Kong. Directed by Wong Jing. First released September 2017. Running time 2hr 8min. Starring Donnie Yen and Andy Lau.